Spanish For Social Change: why do people insist on using 'translator' when they mean 'interpreter'? why do people insist on using 'translator' when they mean 'interpreter'? Interpretation is oral, translation is written. I must have said this one sentence out loud over a thousand times by now. My friends and family are sick of hearing it, but still get it wrong. 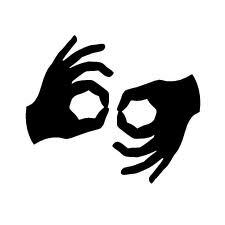 Sign language interpreters never get called translators - why do we? I had great hopes that after the mainstream movie 'The Interpreter' came out (see it if you haven't!) people would be more likely to get this right. Ha. I think people are reluctant to use the term ‘interpreter’ due to a common conflation of two different denotations of the term interpret (1: oral rendition from one language to another and 2: analysis of the meaning of a text). Again and again people have told me that they believe interpreters change the meaning and translators go word to word. Argh!! It is true that untrained interpreters are more likely to change the meaning of what is spoken in the source language, simply because they do not have the skills and ethics training to avoid this while trying to keep up with fast speech. Untrained interpreters are also much more likely to mis-name themselves 'translators' - so actually, if someone calls themselves a 'translator' when they're actually talking about interpreting, I take it as a bad sign that they are likely to distort meaning when they interpret. If just repeating interpretation is oral and translation is written over and over again does not get through to folks, what is a more effective and catchy educational one liner? Any suggestions? Too bad this reader is the choir. But still it's good to hear you preach. This is so very tiresome and so hard to understand sometimes. No matter how many times I explain the difference, so few people actually get it right. I think it goes back to the fact that most people have no idea that these are actually two VERY different skills, i.e. a translator is not necessarily an interpreter and vice versa. I guess we have to keep preaching. I actually view this line of thinking as a common error. There is no dictionary definition that I can find that limits "translate" to the written word. Interpret, to the extent that it means "translate," is limited to the spoken word; but again, the reverse is simply not true. I would recommend observing the way that people actually use these words instead of trying to proscriptively categorize their use. After all, isn't that what a good interpreter would do? As linguists, we can't limit our understanding of language to our often equivocal ideas of correctness. Many people also have no idea that it is more usual to translate INTO your mother tongue. They frequently ask which language I write in, even though it's pretty obvious which language is my native one. I have to say it doesn't bother me too much. Sure, I explain it to every person who asks. But I'm sure I display the same kind of ignorance about plenty of other professions that I have no experience of. piedrita loca I've been thinking alot about your comment. how is it that we insist so much on this distinction in our profession but haven't even been able to get it recognized in the dictionary? how is it we, language professionals, are not able to change the language? because you're right, the way people actually use the terms is to blur them. I *do* think it is important to be able to distinguish these two quite different skills - not just as a sign of respect for us as professionals, but out of respect of those who need our services - so that they can be requested clearly and accurately. If interps can't organize for decent working conditions, you would think we could at least organize to get recognized in the language!